This summer, two of the west coast’s largest metropolitan areas—Seattle and Los Angeles County—took major steps to curtail secret, unilateral surveillance by local police. These victories for transparency and community control lend momentum toward sweeping reforms pending across California, as well as congressional efforts to curtail unchecked surveillance by federal authorities. 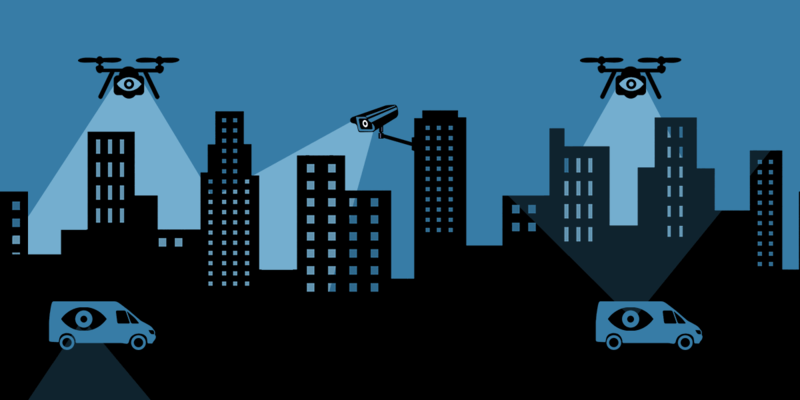 On July 31, the Seattle City Council adopted an ordinance requiring public participation when local police departments acquire surveillance technologies. Days before, a Los Angeles County oversight body rejected a proposed use policy governing the sheriff's department's use of surveillance drones, with a majority of commissioners expressing a preference for deputies not to use drones at all. These measures are the frontrunners for others pending before municipal and county bodies across the country, as well as at the state level in California, America's most populous and prosperous state. S.B. 21—a bill poised to transform police oversight across California—has already passed the California State Senate and two State Assembly committees. Last Monday’s vote in Seattle reflected a unanimous City Council agreement: the public must be involved in decisions about local police and other municipal surveillance. The ordinance was long overdue. In 2013, the Seattle Police Department deactivated a federally funded surveillance mesh network after The Stranger reported that the invasive system was approved without meaningful scrutiny. SPD conceded that its process was insufficient, agreeing to suspend the program “until [the] city council approves a draft policy and until there's an opportunity for vigorous public debate." Unfortunately, Seattle’s ordinance has crucial gaps that limit its effectiveness. For example, the law's enforcement mechanism relies on private litigants, but unnecessarily limits their access to justice. In addition, broad exemptions carving out police body cameras and various sources of video surveillance exclude some of the most visible forms of surveillance from the ordinance’s protections. That said, the law still covers covert police spying tools like cell-site simulators, and Shotspotter audio listening devices that cities across America are already abandoning due to concerns about their effectiveness. Despite its gaps, Seattle’s new surveillance transparency law offers an example of regulating local police surveillance through public process, as opposed to legislatively specifying substantive limits on the use of a particular device. Ultimately, process and substance are interwoven in any reform addressing police procedure, and regulations in either dimension are strongest when coupled. For instance, the new law does not require that surveillance technology be used narrowly for the “purposes of a criminal investigation supported by reasonable suspicion.” It does, however, require agencies seeking technology to specify their policies for each device platform, including how they will collect, retain, and share data obtained through them. By providing transparency and community control at the point of acquisition, the new ordinance enables future policymakers and activists to seek more demanding limits on these parameters, not only through future legislation, but also through the process now required before each proposed technology acquisition. The four members voting against the recommendations…said at the meeting and afterward that they oppose the department’s use of drones altogether….A fifth commissioner…was not at the meeting but wrote a report issued Thursday explaining her support for grounding the drone. Despite the commissioners’ opposition to sheriff’s plans, the Stop LAPD Spying Coalition spokesperson noted that their decision “leaves things in limbo” since it lets the Sheriff’s Department continue deploying its drone. The measure adopted in Seattle is similar to a statewide bill pending in California that could prevent the spy-first-ask-questions-later situations we saw in Seattle, Baltimore, and also in Los Angeles, by requiring new surveillance technologies to be approved by local policymakers—informed by public comment—before law enforcement agencies gain access to them. S.B. 21, introduced by California State Sen. Jerry Hill (D-San Mateo), has already been approved by the state Senate, as well as two committees of the state Assembly. It is currently pending before the Assembly’s Appropriations Committee, which it must pass in order to receive a vote from the full Assembly. Should S.B. 21 pass the Assembly and be signed into law by Gov. Jerry Brown, it would subject hundreds of law enforcement agencies at once to transparency and community control through requirements along the lines of—but even broader than—those adopted in Seattle this week. Neither transparency nor public participation are partisan ideals. Rather, they are principles of democratic governance long embraced across the American political spectrum. The alternative to S.B. 21 is continued secrecy and executive fiat, which always contradict our nation's founding values—but never so much as when they infect local policymaking. Today, when the federal executive branch appears to have less concern than ever for the rule of law, state and local checks on executive power grow even more crucial. Tell the California Assembly to pass S.B. 21. In addition to supporting S.B. 21 by contacting their members of the state Assembly, we also encourage Californians who support digital rights to write social media posts and op-eds explaining in their own words why transparency and community control matter so much. For those who live elsewhere, bringing together neighbors to learn about these reforms presents the opportunity to champion them in other areas. Grassroots groups active in the Electronic Frontier Alliance have been integral to the policymaking process underlying S.B. 21, and if the Alliance has not yet included a group in your area, the local policing reforms embodied in S.B. 21 present a chance to raise the flag wherever in the U.S. you live. These opportunities at the local and state level are especially crucial this year, since Congress will consider mass surveillance by federal agencies before the end of the year, forced by the scheduled expiration of Section 702 of the Foreign Intelligence Surveillance Act. Congress passed FISA 702 in 2009, attempting to legalize the NSA’s unconstitutional Internet surveillance programs (including PRISM and Upstream collection, among others) over vehement objections. EFF was fighting in federal court to stop mass spying even before the passage of 702, and while those cases continue to proceed, the only congressional action on mass Internet surveillance has been to extend a previous deadline for the statute's expiration. Before considering any further extension of the NSA’s expiring authorities, however, Congress must first do the hard work of uncovering secret facts, as oversight bodies in Seattle, Los Angeles, and the rest of the State of California are finally doing at the local level. Update [8/8/2017]: This post was updated to clarify the result of the Los Angeles County Sheriff Civilian Oversight Commission's vote on July 27.